With a Trace: Photographs of Absence features photographers spanning several generations who do not merely capture scenes but create distinct moments in time. Their images bear traces of human presence, the transmission of energy, atmospheric phenomena and experiments with light. Among the artists, Christopher Bucklow, Margaret De Patta, Adam Fuss, Alison Rossiter, Minor White and Hiroshi Sugimoto use a wide range of processes to render their enigmatic subjects. Primarily analog or even camera-less photographers, they highlight the versatility of non-digital photography in capturing what the eye may not see. Whether picturing a place or thing or pure abstraction, the photographs in With a Trace emanate a palpable absence, which is precisely what invites the mind to enter the scene. 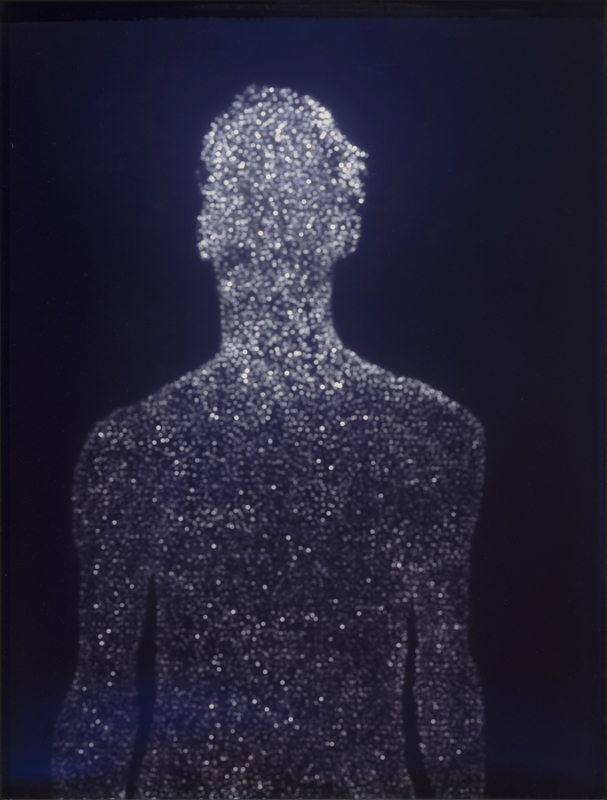 Christopher Bucklow, Guest. (P.S.) 25,000 solar images, 6:34 pm, 29th March, 1995,1995, Cibachrome print, 39 1/8 in. x 29 5/8 in.